The mornings have been hinting of fall, with frost kissed grass and leaves greeting the children as they run out into chilled air on their way to the school bus. 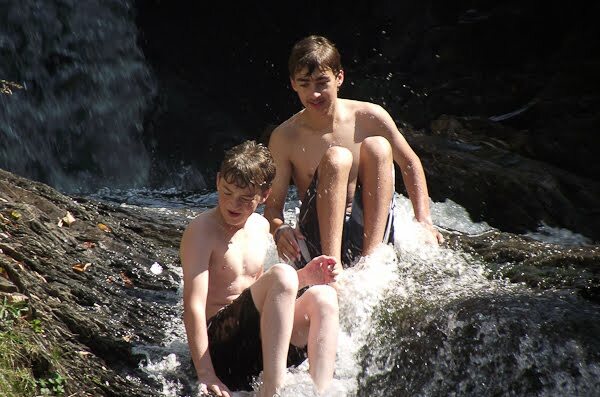 Even though the "cool" teenagers like our 15 year old son still insists on wearing shorts, most reasonable people resort to fleece, wool, or at least long sleeves and pants. When our 10 year old told me she needed shorts for gym, I was grateful to have found a few on a clearance rack for $2. Finding shorts this time of the year is almost a miracle -- finding them for $2 is unheard of. Shorts in hand, I glanced at the rest of the rack as I began to walk away, and that's when something caught my eye. A bright red pair of boys' swim shorts. Seven pairs of swim shorts in all, typically $16-20 at full price, on clearance for $2 a pair. 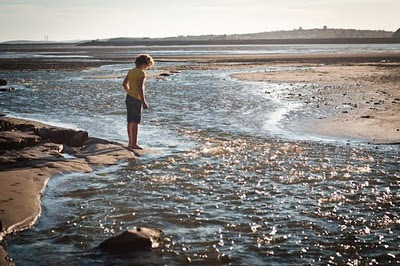 The images came swiftly to mind -- the older boys, the ones left behind. Boys whose only possessions in this world are the clothes on their backs -- usually consisting only of a raggedy pair of underwear and sometimes a t-shirt. Boys who could benefit from swim shorts that dry fast and as such, will keep them more comfortable. 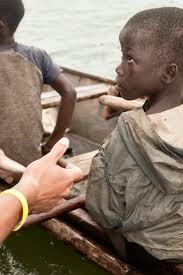 Boys whose birth family income was less than $2 a day, leading them to the desperate decision to sell a child. 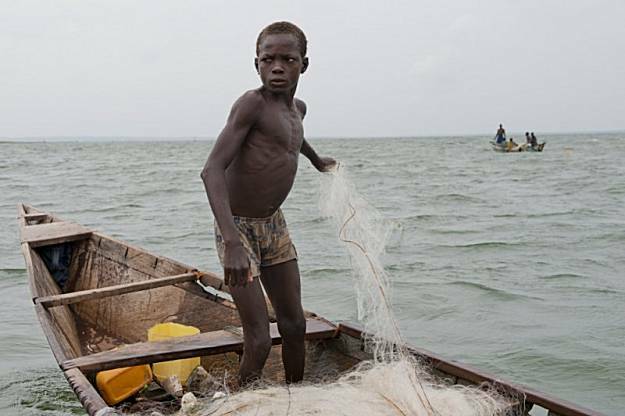 On Lake Volta, it is typically more common to rescue young boys, as they are more vulnerable and less valuable to the slave masters. The older, stronger boys, stay behind with the slave masters. Slavery is often the only life they can recall. They don't remember the taste of freedom. As I plucked the swim shorts off the rack one by one, I consider that sometimes, the difference we can make seems so small and seemingly insignificant... but even when we can not do much, we must not shy away from the little we can do. I thought of our boys, age 13 and 15, for whom a pair of swim shorts mean nothing. 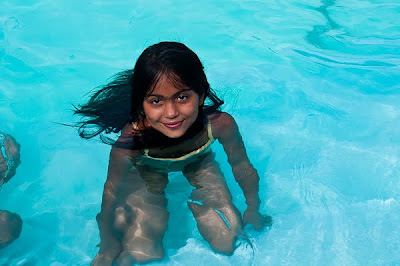 For whom water means fun and play. The contrast is stark as I consider the 7 boys who will soon be wearing these new shorts, compared to the 2 who take so much for granted. My heart hurts for these 7 boys, unable to fathom what will go through their hearts and ours, as we pull away from their boats, unable to bring them to safety... but perhaps my heart hurts just as much for the 2 who live unaware and who seem to me the two who are left furthest behind -- by their spiritual slumber. From slavery to slumber, the harvest is plenty, the workers are few. As I continue to prepare my heart for the ways in which it will be broken in Africa -- I know all too well that it's already broken, beautifully yet painfully broken, and it's in that brokenness that I feel Him closest. The situation of child slavery in Ghana was featured in one of our local newspapers this week, along with our fundraising efforts. "When you come across something like that, it has such an impact... Your life changes in that moment." 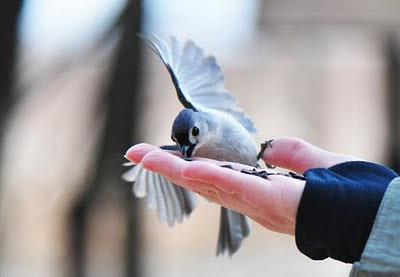 It's universal -- no one wants to be alone -- we all long to belong to something bigger than us. Compassion children are no exception. One of the questions I hear often through the OurCompassion community and from sponsors I meet, is whether or not those of us with multiple sponsored children have told our sponsored children that we sponsor more than one child. We each have our own reason for sharing or not sharing, but I personally can't imagine them not knowing about each other. All the Compassion children I met in Honduras begged to see photos of the children we sponsor, and it was interesting to see their reaction as they realized how much we loved each of our sponsored children -- it tells them that their sponsor loves them too. Our Compassion kids know the names, ages and country of the children we sponsor. They appreciate being able to pray for one another, and some have offered to pray for God to provide financially for us so that we could sponsor even more kids. Such selfless, generous children. Ato Sam in particular was quite excited to learn that we were helping "many children", and he offered to pray that God would increase our finances so that we could sponsor more. "Ato says he was happy to hear that two children who are twins are being sponsored by you and Tia. He says this afternoon, he was at the Project Office to write his letter, and something came to him that he became much happy. He says he was happy that you are sponsoring much children. He says he also wish that, in the near future, he can also be like you and sponsor some children. Ato says he always prays for you that God should be your source of strength and any material that you will need in your good works. Ato says have you heard from George & George? Ato says which part of Ghana do they come from? Ato says he thanks you so much for sponsoring other children too." Ato Sam will make one of the best sponsors someday... I am sure of it. In fact, following Ato Sam's footsteps, I've responded to him in a ltter that "It will come to pass Amen!" It must be amazing for a sponsored child to break the cycle of poverty, and in turn lift children out of poverty. Imagine how seriously they'd take sponsorship? It does happen. It's my prayer that one day, all Compassion countries will one day become like South Korea, once a Compassion Assisted country -- now a Compassion Sponsor country -- until there are no more children to sponsor, as each child in the world will have been lifted out or poverty's grim grip. The future is bright for these children, so full of hope. It's such a blessing to witness God shaping Ato Sam into a leader for his community, his nation, and this world, to see it all unfolding from God's hand, to Ato Sam's life. With Love, From Ghana: "Skuuk"
Ginger may look like she's all "business", but trust me, nothing quite compared to her meeting the business end of a skunk a few months ago. We had never experienced this before, much less with a golden retriever, known for their water repelling fur... how exactly do you get the skunk oils out of the undercoat? Tip One: Immediately absorb as much of the oils as possible from the dog using paper towels, which you will then discard as far away from civilization as possible. Tip Pew: Forget tomato juice. How many of y'all keep enough tomato juice on hand to float a large cruise ship anyway? Tip Wheee: Skunks are nocturnal. Have the following supplies on hand in large quantities so that you won't have a midnight "run-out" after your pooch's "run-in" with PePe LePew. Peroxide, Baking Soda, Dish Detergent -- and these instructions taped to the inside of the cupboard door. As you can imagine, it was quite an adventure, which we shared with our Compassion children in their letters that month. 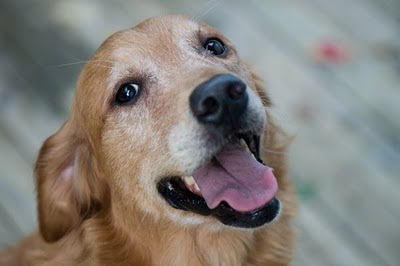 "Ato says he was happy to hear from Jillian and the news that she shared with him about Ginger. Ato says from the story it seems Ginger was having fun with skuuk. Sam says Ginger smells bad but he says he believes that, in short time (I'd hate to imagine HIS definition of "long time", lol) the smell will go away. 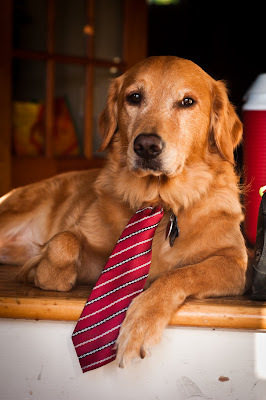 He says did you say it was not wise for Ginger to do that? Sam says Ginger did not know that this is what will happen. Ato says he believes Ginger will chase skuuk again, but it will take time for her to understand. He says Jillian and you visited Rockwood Park to feed some wild animals? He says he is surprised about that and didn't they hurt you?" 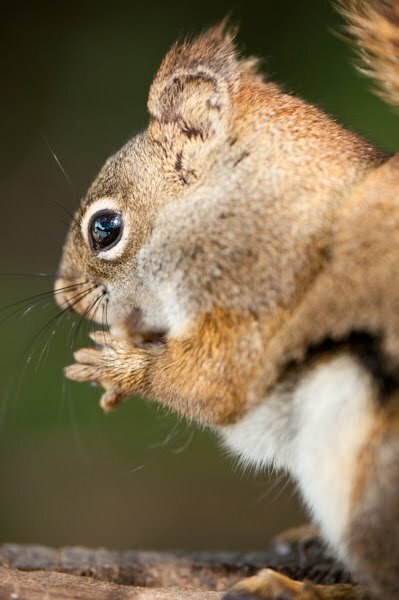 Uhm, no, the chickadees and squirrels were very kind to us, especially since they knew we had seeds and nuts! It seems as though we never run out of things to share with our Compassion children. Some just happen to be funnier than others! What were some funny stories or responses you've experienced with your Compassion children through letters? Go Ahead And Assume I'm 100 Years Old! There's a sweet little girl at church, her name is Madison. She is our Community Pastor's daughter, and she was in the Grade 2-3 Girls Small Group I teach at our church. She has such a beautiful heart, I love her so. When I shared with the girls what was happening with God's precious children in the Lake Volta area of Ghana, and how God would help them, Madison became one of our prayer warriors, always asking faithfully and with hope each Sunday how our fundraising was going: "Which percent are you at now?" Her face always a mixture of pure belief and concern, waiting with anticipation, knowing He promised to provide, waiting to see how He would, understanding the priceless freedom for these children was held in the balance. Our recent conversation stood out in my mind today. I had shared that we had just passed her age in percentage, that we were getting closer to 13%. She was excited, but I could tell that she knew that with less than 2 months to go, that meant God had some pretty big miracles up His sleeves that He hadn't shown us just yet. I bent down as I spoke with her, so that we could see each other eye to eye, and we made the decision right then and there that since we were past her age in percentage, we simply had to start praying for God to help us reach MY age in percentage. She grinned, I grinned, we did a high five, and we went our separate ways, promising to keep in touch. To young kids, parents are like, ancient, you know? Yesterday, I broke the news to her that we were still at 12%. It's hard to know what went through her mind, but she looked deep in thought. I told her that God would show up, we'd get there. We had to keep our eyes upon Him. A few days earlier, I had been interviewed by a reporter doing an article on what God was doing through us for these children in Ghana, and at the very end of the interview, she asked "So, I've got to ask, $30,000 is a big amount... do you think you can pull this off?" This question always catches me off guard. I know we can't, I know God can, but how do you explain that? I shared the story of Nehemiah, and said we can't, but God can, and He will, we have to believe this, we have no doubt. "God never asked us if we could do it... He only asked us if we trusted that He could." The answer was an unwavering, rock solid -- YES! Today, I received an email sharing that we had just received a generous, unexpected, blow-your-socks-off donation into our non-profit account at Interlink. I do not know yet from whom, aside to simply know it's from Him, through someone whose heart He has touched for His children. How do you begin to process this? How do you find the words? It's times like these that I'm so grateful that worship and praise needs no words... Our love to Him transcends all languages, all situations. Just a few days ago, my thoughts were on Nehemiah's story, stone by stone, Jerusalem being built in 52 days... today, these children are many stones closer to this school being built. God is bringing His people together, beyond measure. We didn't do this, He did. It was a year ago that we met. 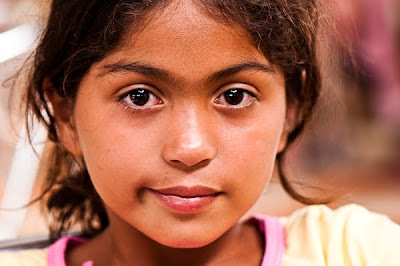 Although my mom and I had been sponsoring her since 2005, I had no idea what to expect on July 2nd of 2010 as I waited anxiously for my turn to meet our Compassion child from Honduras. When our names were called, I came forward to greet one of the most beautiful girls in the world, and quite possibly the most shy too (except maybe my friend Jordan from Kidzworld!). It was as though time stood still. Meeting Bessy was easily one of the most memorable experiences of my life, in fact, the entire journey to Honduras was life changing. Since my return to Canada, Bessy's letters to us have been completely different. First of all, she is now 9 and writes her own letters, but there is a deeper sense of connection and relationship. I love to read her reflections on our time together. When I met her that day, she shared that her father had not yet accepted Jesus and did not share their faith. It was a bonding experience for her mother and I, since we both lived this reality in our families. 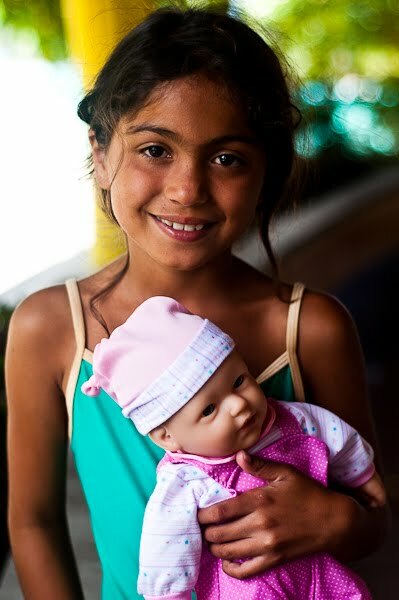 Bessy had been praying for a doll since she was old enough to pray, and when I gave her a doll that day, she cried with joy, and in her excitement, she shared something in Spanish with her mom, something I couldn't follow or understand. I asked our translator what she had said, and he spoke to her mom, who explained that although Bessy had always believed in God, she felt as though now she had proof that He answered prayers... she was holding the doll she had prayed for since she was very little. There wasn't a dry eye at the table. I greet you wishing that the Divine light of God lightens your lives, always. I want to thank you for the letters, for the books and the stickers, for the photos and the cards. At the same time, I want to answer your questions. My family and I are in good health, thanks to God. I liked the Bible you gave me. I like to read it because I learn many verses. My favorite Biblical verses are Psalms 23:1 and Philippians 4:13. My favorite materials are markers, pencil colors, books, notebooks with drawings and the pencils. I love to paint. My family already accepted Christ as their only Savior, the last one who accepted Him was my dad. In this moment, I haven't been able to get baptised, but I will do it because it is a commandment of God and we have to obey Him. I'm doing well in school. Right now I am in 4th grade. My favorite part of the trip was to meet you personally because I was able to hug yo uand to kiss you and to tell you how much I love you. We got home very well, thanks to God. I was a little dizzy and with nausea (she gets carsick) but the experience was very nice. I didn't mind the distance (12 hour drive) or discomfort - it was worth it because not all the kids have that experience. My doll is called Docile to remember you more and I care for her a lot. My sister and I have been using the markers a lot and we like to paint. I also want to thank you for the scholar benefit I received at the Child Development Center and I was able to buy school supplies. I wish to ask you: Did you like Honduras? Did you enjoy my company? I ask you to pray for my dad that he has faith. I'm trying to imagine what Ato Sam's letters will be like after November, as well as Tahameena's and the twins'... but if Bessy's are any indication, I'm really looking forward to seeing and hearing it through their eyes and words as well. 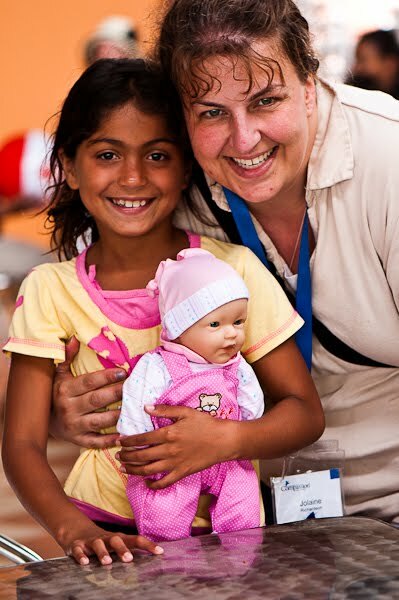 If you've visited your Compassion child, how has the visit impacted the correspondence and relationship since the visit? Ten years ago today, at 00:16, an itty bitty little girl was born into this world, five weeks early and white as snow. So quiet and still, but even before she made her very first sounds, she had already answered her mamma's prayers. Born the youngest of two older brothers, our world would soon become a sea of pink. Today, a five foot tall girl is sprawled upon her bed in her "Daisy Chain" yellow room, red hair tangled wildly upon her pillow as she sleeps, pale freckles sunkissed across her nose. Days of being quiet and still long gone, as she sleeps to restore her energy before bouncing back into her busy butterfly life, chitter-chattering endlessly from morning 'till night. Remembering the prayers for a girl, for the sea of pink, I see God having answered those prayers as He always does, beyond measure, for the sea of pink was too mild a dream, too small to contain the outburst of color medleys He would splash into our lives through Jillian. Happy 10th Birthday, my purple flamingo, my JilliBoo, my Cindy-Lauper-Junior, my God-loving, geocaching, singing, adventure and road-trip buddy extra-ordinaire. You live life beautifully -- to the fullest -- you have overcome SO much... you inspire me. In a recent letter to Ato Sam, I had sent him an educational book on arachnids/spiders, and kind of joked that he must never show or mention this book to my husband, because he is deathly afraid of spiders. My best friend and I share the sponsorship of these two precious twin boys in Ghana. It has been a truly delightful experience! Their names are George & George. Wait, no, really, you read that right. And not only do they have the same first name, they also have the same middle name.... and the same last name. George & George with their mother. It has been comical to receive their correspondence since their letters usually get so mixed up -- we get letters from each other's twin as often as we get letters from our own twin. Even the Compassion staff gets them mixed up! We received this photo along with a thank you letter for a family gift we had sent several months ago. 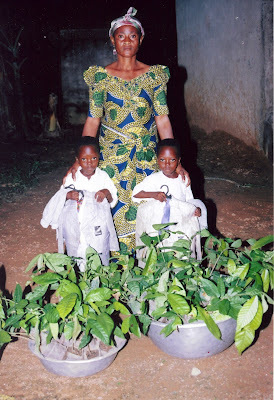 With the family gift, George & George's family received two cocoa plants from the nursery to plant and harvest for income. They also purchased two suits for the boys to wear to church. Although their names are the same, they do each have a nickname -- Panyin & Kakra. We learned this week that these names are common in this region for twins. One means oldest born, one means youngest born. Either way, in any region, these two are the definition of adorable. We look forward to meeting them in Ghana in November and loving on them. We've introduced them to the beloved Curious George books, and look forward to bringing them each a giggling Curious George stuffed animal to cuddle with! Have you received sweet letters from your Compassion child lately? Do share! Once upon a time, there was a man named Nehemiah who had learned that Jerusalem and her walls had been destroyed. This caused him great anguish, and he immediately fasted and prayed, offering his life to the Lord that the city may be rebuilt, restored and protected from the enemy, for He loved the Lord's people so. The Lord led the way, providing His faithful servant with His blessing, a team of supporters, and provisions at each step of the way. Once in Jerusalem, the Lord continued the provisions in spite of growing discouragement from the enemy. Alone, Nehemiah knew he could never rebuild the walls of Jerusalem and bring redemption to this broken city, but Nehemiah knew God would never leave his side. Indeed, God provided many hands to raise the walls, stone by stone. Day and night, they worked tirelessly, one hand working, one hand raised to defend against the enemy’s attacks, each doing what he or she could, providing just enough for God to complete His work through them. In 52 days, the unthinkable happened... the walls were raised, Jerusalem was once again protected and safe, and God’s name was glorified through the efforts of all who had faith, believed, and did what they could. Hundreds of years later, there were three women named JD, Tia and Debra, women who had learned that the lives of children sold into slavery in the Lake Volta region of Ghana were threatened. This caused them great anguish, and they immediately responded with prayer and fasting, offering their lives in obedience to the Lord that these children’s futures may be rebuilt, restored and protected from the enemy, for they loved the Lord's people so. The Lord led the way, providing His faithful servants with His blessing, a team of supporters and provisions each step of the way. With months until they would travel to Ghana, the Lord continued the provisions in spite of growing discouragement from the enemy. With 52 days left, the unthinkable WILL happen – the funds WILL be raised, these children will have an education to provide them with protection and safety from the snare of slavery and poverty, and God’s name will be glorified, as in the days of Nehemiah, through the efforts of all who had faith, believed and did what they could. The Challenger Space Shuttle disaster. My grandfather was 7 when the Titanic sank, and in a conversation I had with him months before his death at the age of 93, he could remember hearing about it. On each anniversary of those events, one of the most frequently asked questions is "Where were you on that day, what were you doing?" I remember Sept 11th 2001 as though it was only yesterday. It was our oldest son's 5th birthday, he was in his second week of Kindergarten. I was 34 weeks pregnant with our youngest, and in pre-term labor yet again. I dropped our 3 year old son off to the babysitter and picked my mom up on the way to the hospital. When my mom got into the car, she shared that something terrible had happened in New York City, a plane had crashed into a skyscraper moments earlier. As we drove to the hospital, we wondered how such a thing could have happened, and we were greatly concerned for all those whose lives would be affected by this disaster. The previous day, I had given my maternity leave notice to my employer, a major airline. I couldn't have imagined being at work that day or in the days to follow. The rest of the day was spent in the Labor & Delivery unit, attempting to keep labor off as it was too early for this baby to be born. From time to time, we heard bits and pieces of news and updates from the nurses, who were probably doing their best not to alarm us so that the stress and concern wouldn't worsen the contractions. From what we were told, the world was coming to an end. With labor held off once again, I went home on bedrest. I would not be returning to work until the end of my maternity leave 13 months later. At home, we watched the news replayed from earlier that day, and sat in stunned silence at what was determined to be an act of terrorism on innocent people. I remember wondering what kind of world I was bringing a child into. I wasn't the only one with questions. So many of us wondered "How could this happen?" The devastation of Sept 11th 2001 is still fresh in my mind ten years later, and will likely always be. And yet what I struggle with, still, is that while there were several thousand innocent lives lost that day, there are nearly 20,000 innocent children who die of completely preventable causes every single day... Not just on Sept 11th, but every.single.day... without a single headline, without memorials, without the outrage of the rest of the world demanding justice for these precious children. God has questions for us too. Where are we each day while these children die? Please, don't misunderstand my heart -- it is not my intention to take away from the severity and tragedy of the losses experienced in the tragic events of Sept 11th 2001 -- we suffered greatly at the hands of these terrorists. I simply can't help but know that we, as a world, also suffer terribly, even unaware, as the world's children die by the thousands each day when it is within our power to turn the tide and save lives. We want those in charge to be held accountable for the losses of Sept 11th... many still seek vengeance, justice, answers. How will we respond when we are ALL held accountable for the children God commands us to feed, clothe and protect? On Sept 11th, 2001, I wondered what kind of world we were bringing our children into, but today, I no longer wonder what kind of world I've brought my children into. God is asking me instead what kind of example I will lead them with. There's a definite chill in the air these days... fall will soon be upon us. The children feel it too as their summer vacation comes to an end and they prepare to return to school on Tuesday. It seems as though the past two months have evaporated all too quickly in the summer heat... except summer's not all that hot here in this corner of Canada! Although we've done this every year for the past 11 years, there is a different feeling in the air this year. Even the children's whining about being back in school is half-hearted. They know all too well this year how blessed they are. Had they been born in Ghana, their reality could be very different. No school? No end to poverty. Nothing but 14+ hour days of work to look forward to for the rest of your life. Yes, this year, I see this season through a different perspective. The priceless perspective of freedom. Freedom to receive an education. Freedom to be a child. I've been invited to share at (in)courage today, will you join me there? It's still in the stages of development, but any sponsor with a Canadian sponsor # can sign up. 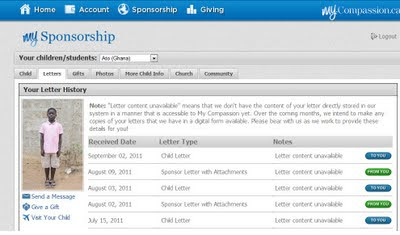 Through my.compassion.ca, you can learn more about your child's family, community and church, as well as his or her hobbies/activities, along with photos and a listing of all correspondence shared between you and your child. When I logged in today, I saw that even though I have just received a letter from Ato Sam in Ghana, I have another one on the way to me. It was logged on September 2nd at the Compassion office in Canada, which means that it is now on the way to our house. I will not stalk the mailman, I will not stalk the mailman, I will not stalk the mailman... I will simply get the kids to stalk him for me! In looking through the profiles of our 13 Compassion children, I saw that there were photos of our Compassion children from the years before we began sponsoring them. It's like a glimpse of a child's lifebook from the years before they were grafted into your family. Perhaps in time, we will be able to download the full size .jpg files from this online source so that we can have these printed. All in all, definitely two thumbs up. What a great resource for all Canadian sponsors!! Thank you, Compassion Canada, for giving us the blessing of having access to this information! In just over a year, we have received 17 letters from our beloved Ato Sam in Ghana, west Africa. With each letter, especially ones like these, we are amazed at the way God has woven him into our lives, even leading us to a path of combating child slavery in Ghana. With the number of letters we've received, as well as the length, we couldn't possibly share them all here, but we'd like to take the time to share bits and pieces of the 15 pages we received from him last week. Prayer Requests: Pray for some of the children in the project who have experienced sponsor cancellations. Memory Verse: Joshua 1:3 Every place that the sole of your foot will tread upon, I have given to you just as I promised to Moses. 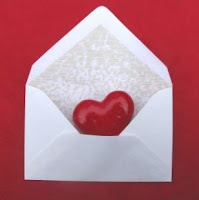 Ato says, he becomes happy whenever he is writing you a letter. Ato Sam says that there is no other way to talk to you except through letter. He says his dear mother, how are you and how is his father Terry, together with his siblings, Jillian, Joshua and Brandon too? Sam says he was surprised to hear that "it is with great joy that we take part in this blessing" (I had written this about how I feel about writing and sponsoring him). Sam says he wanted to tell you that you are also a blessing to him more than he himself can think of. Ato says he owes you a lot of gratitude and sometimes he does not know how to show it. He says he has received three letters from you and he says he is so excited! He says your letters make him feel your presence. The experience that a dear friend of mine, Tanya, has with correspondence with her Compassion child was shared with Ato Sam, and he had this message for Tanya: He says he realized that some of the sponsors were not happy about the way their letters are responded (impersonal, no answers to questions asked, etc), and he says to tell them that they should not lose heart but as time goes on, God will let them be happy. Ato says you said you are grateful that his mother and his family let you share him with them. Ato says that he and his family did nothing to God that let you come into their lives. He says he has more to talk about you and he together with his family owes you a lot. He says he always thanks God for letting you sponsor him. He says you are truly his mother and even wishes to see your face some days to come. He says your books that you sent him has helped him a lot. He says his brother helps him to read them every evening. he says you also sent him gift money to buy soccer ball and other items to help play the soccer well, so you are his mother and you care about his future. He says he heard that Joshua was amazed to hear that he has not seen (American) football before. He says in Ghana, football is not played here, only the soccer ball is played. he says that he also heard that someday, Joshua will teach him how to play the football, and Ato says he is also ready to teach Joshua about the soccer too. He says he agrees to what you said, that Joshua and him will become best friends. He says he wishes that the friends should be brothers. He says that [since] the letters came in late (postal strike), he would like to know if the adoption worker was able to meet with us? Ato says do you know that you are special? He says you are special because you are a blessing to him and his family. He says for their studies, they are preparing for their promotion examinations so he says their studies are going on well as his elderly brother has been helping him. He says he is trying to study hard so that he can write the exams. He says how is the weather now? He says says you wrote that you were experiencing the snow again. He says he knows that the snow will not allow anyone to do anything. (This made me laugh out loud! Love this boy!) He says he remembers from your letters that one time, the rain did not permit his siblings in Canada to go to school! Ato Sam says that over two weeks now, it has been raining often. Ato says he was sad at first when he heard that (M) couldn't come to be his next sister (our adoption match fell through). He says he was hoping that all his dreams will come to pass. He says you encouraged him again that a new one has been found for you. He says what is her name? He says the scripture that you gave was powerful. Ato says he prays that God should not deny you this new one that has come into your and his life. He says he praises the Lord for this precious offer. Ato says he has seen the good work that you are doing. Ato says you asked him concerning his father's understanding of the English language and he says that his father is literate. He says his father attended school and completed form four in the olden days. He says his father learned the English language. He says his father continued his education in a technical school at Kukurantumi (Saint Paul Technical School). He says his father had opportunity to teach in one of the newly established second cycle institutions as a volunteer (casual) teacher. He says now, due to the changes in the country, his father lost his job as a volunteer teacher. He says now his father is a farmer, but at times, also used to support their church building as a voluntary (casual) worker. He says his father can read and write. Ato says concerning his life, he says he fetches water early in the morning and also assists his father at the farm. He says he does not like many friends but says he tries to keep the few friends for long. Ato also adds that he becomes happy when doing something like having fun with friends and also playing soccer. He says last two months, he was part of the singing competition team and he was not picking up the part he was given to sing. He says he tried his best to do it and his project center took third position of the nine projects that competed. he says, in his life, he tried to do something that he is not good at. He says he became happy that his center became third because he was part of the team. Ato adds that he was much happy of having a wonderful and healthy family. He says God has done another wonderful thing in his family. He says that his parents always correct them whenever they go wrong. (Proverbs!) He says now his family has found another person who is supporting them both physically and spiritually. Ato says that that person goes the extra mile to encourage and advise Ato. He says his family is hospitable to everyone and that person too has that characteristic. He says that person has added value to his family and also to him personally. Ato says his family has developed when that person came into his family. Ato and his father say that God should bless that person and give her all the favor and the strength that she needs. Ato's father says that may God bless the family in terms of their studies and their business too. Ato says that he believes that you will shout a big AMEN because all the statement above refers to you. He says you have changed his world and says that is what he can say about his life, family and his world. He says that, thanks to all the sponsors and also Compassion as a whole. He says thanks to God for meeting you. He says he loves you so much and always prays for you. He says the attached is the photograph after the singing competition. (Names everyone in photo). (If anyone sponsors at GH316, let me know, as this photo may include your sponsor child).